The Fayez Sarofim & Co. U.S. Men’s Clay Court Championship has designated the National Junior Tennis and Learning (NJTL) chapter of the Houston Tennis Association (HTA) as the tournament beneficiary. The National Junior Tennis and Learning program was founded by Arthur Ashe, the 1967 US Clay champion. The NJTL programs are designed to develop the character of children through tennis and education. The programs actively reach out to youth who may not otherwise have the chance to participate in tennis through free and low-cost opportunities. In addition to teaching tennis skills, the programs seek to encourage the values of humanitarianism, leadership and academic excellence among participants. In Houston, a partnership between the HTA and the City of Houston Parks & Recreation Department sees more than 6,000 kids participate annually in NJTL programs at 44 different facilities throughout the city. Nationally, NJTL programs are supported by the United States Tennis Association Foundation. Through the partnership between the U.S. Men’s Clay Court Championship and the HTA, a portion of proceeds from the ATP World Tour event held each April at River Oaks Country Club will be donated to support local NJTL programming. The tournament will also be active in various NJTL events during the year, including the annual Kids Day at Memorial Park. ATP World Tour players and the organizers of the Fayez Sarofim & Co. U.S. Men's Clay Court Championship visited the Houston Tennis Association's National Junior & Learning clinics during the 2018 tournament. The players and tournament are contributing to resurface the park's courts that were damaged during Hurricane Harvey. Watch the full video from their Sunnyside Park visit HERE. The tournament will once again support The Trauma and Emergency Center at Children’s Memorial Hermann Hospital. The first hospital in the Texas Gulf Coast region to have a Level I pediatric trauma center to care for children, it provides 24-hour care to more than 18,000 children in emergency situations each year. Proceeds from the Ticket Turnback program are donated directly to Children’s Memorial Hermann Hospital. 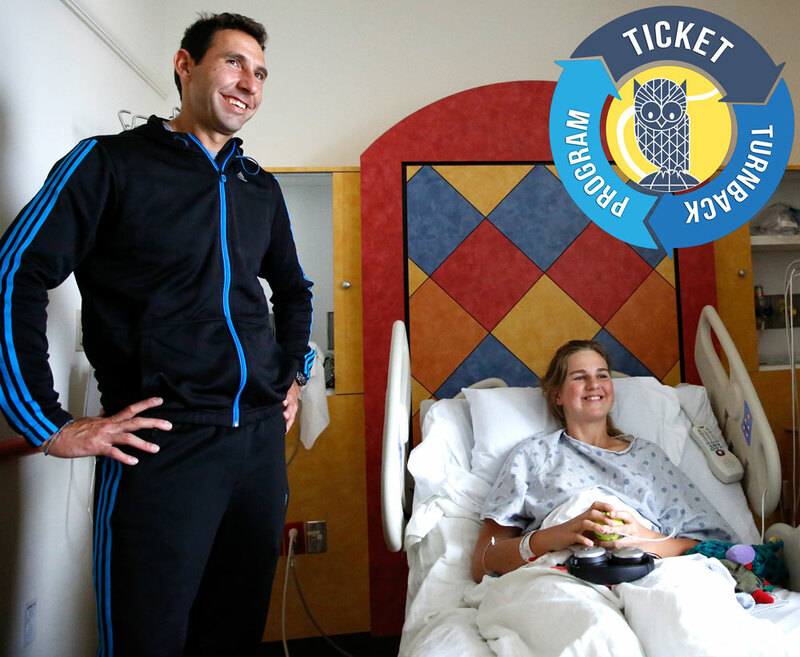 Fans are encouraged to return tickets for any session they cannot attend so they may be re-sold, with the entire purchase price being donated to the hospital. The program has raised over $245,000 for charity. To learn more about the Ticket Turnback Program, click HERE.